Badger McInnes You may not be familiar with my name, but if you're player or Keeper of Call of Cthulhu, you've probably seen my work. I've been working as a book designer and layout artist for over ten years, for such publishers as Chaosium, Pagan Publishing, Miskatonic River Press, Golden Goblin Press, and others. I won't bore you with the list of my credits, but my grubby paws have put together such books as The Legacy of Arrius Lurco, Bumps in the Night, Secrets of San Francisco, Tales of the Sleepless City....oh, and some book called Call of Cthulhu 7th edition. 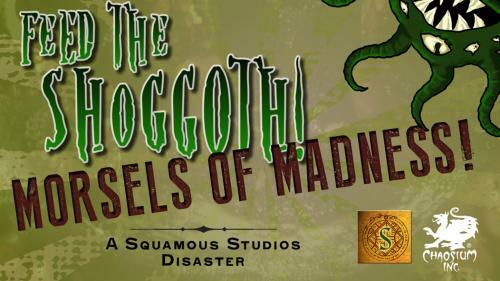 In addition to myself, i have the pleasure of working with Jason McKittrick of Cryptocurium, who has lent his considerable artistic madness in creating the shoggoth miniature, and storage box for Feed the Shoggoth. 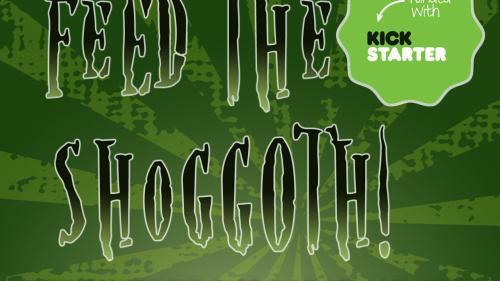 It will be that will painting your custom shoggoth minis!